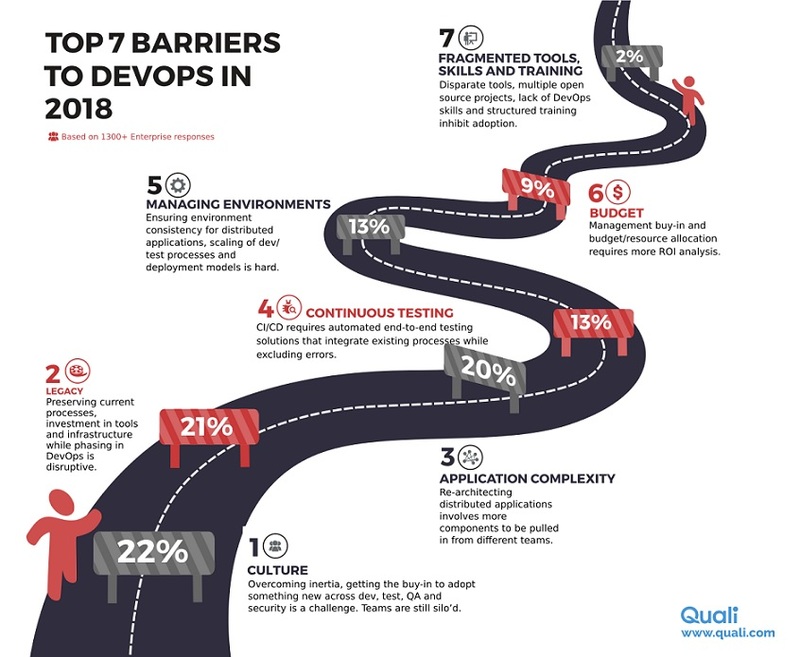 The top barriers to DevOps adoption involve stagnant organizational cultures (according to 22 percent of respondents); managing the jumble of legacy processes, IT infrastructure and newly created cloud environments (21 percent); and growing software complexity that impacts application modernization initiatives (20 percent), according to the Cloud and DevOps Survey conducted by Quali. More than two-thirds of survey respondents (68 percent) cited a strong need to budget for a dedicated Cloud and DevOps Competence center of excellence (CoE) lab, either on-premise or in the cloud, to handle cloud migrations, application modernization efforts, and DevOps automation use cases. Just less than one-third (32 percent) have not budgeted funds for an R&D competency center as part of their immediate plans.